Whether you’re published or unpublished, traditionally or indie or self-published, there are always new tools to help you tell more readers about your work, and sell more books! This weekend, as we celebrate Independence Day in the USA with fireworks and barbecues, we’re offering up seven sites for success that will help you succeed as an authorpreneur. Take a look and then please, with your comment below, let us know which will prove most useful to YOU! Authors.Me – Here’s a new site seen at Publish15 in Atlanta, where you can easily and professionally post work for agents and editors to take a peek. 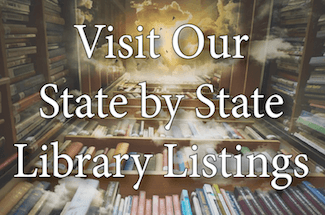 The site will allow you to build a media-rich representation of yourself and your work to be matched to the right agent or publisher for review. TheWritingBank.com – The Writing Bank is aimed at dispelling many of the myths and complexities held within the publishing industry. 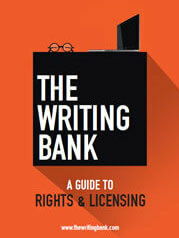 Sign up for their list and you can enjoy this informative and useful Guide to Rights and Licensing booklet, free. 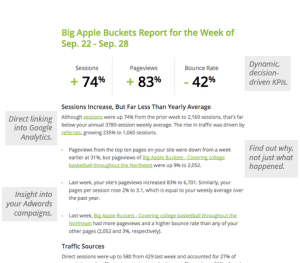 QuillEngage Reports: This free tool will email you weekly or monthly reports of your most important Google Analytics statistics with actionable advice. It’s easy and useful. And, if you haven’t yet been getting insights from Google Analytics (or worse, haven’t installed it on your author website yet!) then here’s a fantastic article Jane Friedman recently shared from Moz.com, The Absolute Beginner’s Guide to Google Analytics. 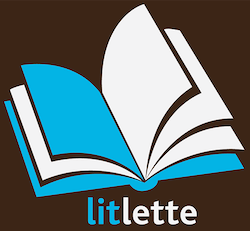 Litlette.com – Litlette is a new Facebook app we discovered at UPublishU during Book Expo America, a clever app that lets self-published authors share a sample of their book with friends inside Facebook. Register for free as a first user of Litlette; they’re keen to hear your ideas about how it can be used as a marketing tool. Click Here and use code 073c7a for an early preview! 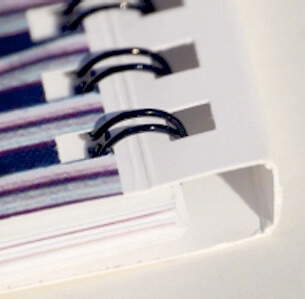 CreateMyCookbook.com – Need a wirebound book? We get this request plenty from authors who are seeking a limited run to test a wirebound book, whether for a cookbook or some sort of how-to tome. We checked this out at Publish15 in Atlanta, and it offers a solution with a covered wirebound wrap – giving you the flexibility of wirebound, AND a spine to display your book’s name and author info so it can be seen on shelves. The spill resistant, wrap around cover lays flat when opened for easy use in the kitchen or for crafts, and you can even create the book there free; you don’t pay until you actually order copies. KBoards.com – Not always a big fan of forums, but have definitely seen more useful info and fewer “trolls” at this site, recommended to us by the good folks at Chanticleer Reviews. KBoards, quite simply, is a website devoted to all things Kindle, including a community forum with over 2.5 million posts. The site also offers a Kindle blog, and other goodies, and of course several ad and promo opportunities for authors. And of course, if you haven’t yet joined WWW’s own Winner Circle, now’s the time! 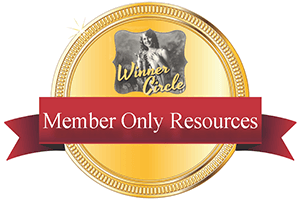 We’re knee-deep this month in additions to our members-only portal of resources, including new templates and tutorials, online tools, excellent vetted review sites, new deals & steals (including several new free author training options) and several new book clubs. Join now to get a jump on your summer and fall book promoting!